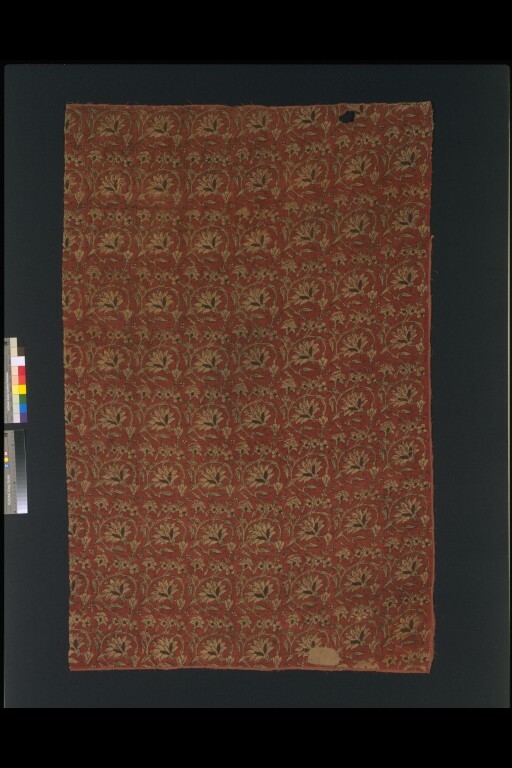 This section of a long cloth (‘piece-good’) was made in Gujarat, western India, for the Indonesian market. This floral design was very popular in the later 17th century. It appears, for example, in a Japanese screen painting dated to around 1600. Indian textile workers created it using a combination of hand-painting and hand-printing with wooden blocks carved with the pattern in relief. The cloth was collected in the Toraja area of central Sulawesi. It carries a VOC stamp, which are the initials of the Dutch East India Company (Verenigde Oostindische Compagnie). 'Piece-good' is the name used in European trading company records to describe a long length of cloth with a series of self-contained designs. These long lengths were then cut up, probably at the point of sale. 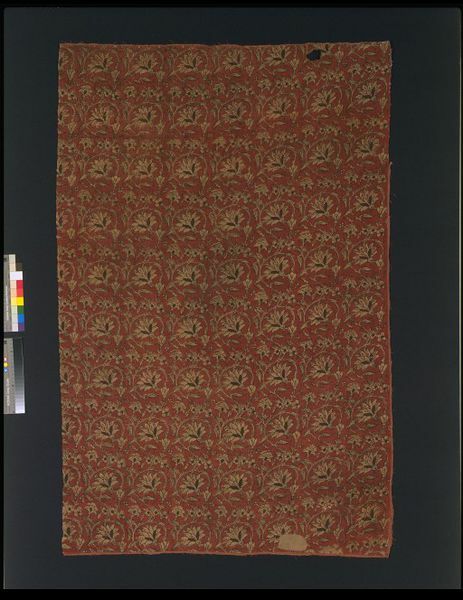 There are records of uncut lengths of this type of cloth being used as banners and hangings on festive occasions. This floral design was a very popular in the later 17th century and appears, for example, in a Japanese screen painting dated to around 1600. Indian textile workers created it using a combination of hand-painting and hand-printing with wooden blocks carved with the pattern in relief. 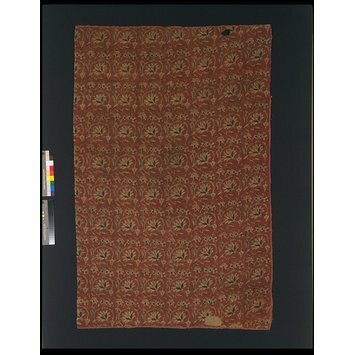 Section of a long cloth, collected in the Toraja area of central Sulawesi, with a VOC stamp. Gujarat, for the Indonesian market; radiocardon-dated 1680-1760. Cotton, block-printed mordant-dyed and painted; weft 90cm.